Here is an inspirational story from one of my clients. She was gracious enough to let me share it with you. Thank you G! Once upon a time in a little town in New England, there was a 1.5 year old who loved to play with shapes- a green circle, a blue star, a red square and a yellow triangle. 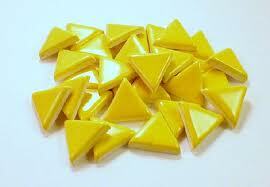 These plastic shapes were all part of a game where the shapes all fit into a pelican's mouth. The green circle was the little boy's favorite. With ease, he learned how to put the green circle into the pelican's mouth which made the little boy clap and smile. One day, the little boy's mom realized he was ONLY playing with the green circle and avoiding the other shapes all together. The mom helped the little boy and in about 15 minutes he mastered the blue star and the red square, but not the yellow triangle. The next day the little boy was so excited to play the game again with his mom when she got home from work. The two sat down and started to play. First the greet circle (easy), then the star and square (a little more challenging), and then the time came for the yellow triangle. Instead of giving it a shot, the little boy gave the triangle to his mom, thinking "I can't do it so why try." The mom was shocked to see this sense of giving up in the little boy and worked with him for about 30 minutes until he was eventually able to do all the shapes on his own. Obviously this was my son! But this happened not that long ago and I really learned a lot from little Leo. It is so easy to stick with what you know you can do and what you are good at, but a lot harder to push yourself outside of your comfort zone. He taught me that with a little push, support and help, we are all stronger, smarter and more capable than we think. Take this story and push yourself outside your comfort zone. When you get down, just think of the yellow triangle. Email your snail-mail address to molllie@ptmollie.com and I will send you a yellow triangle as a reminder to push yourself out of your comfort zone to become "stronger, smarter, and more capable."